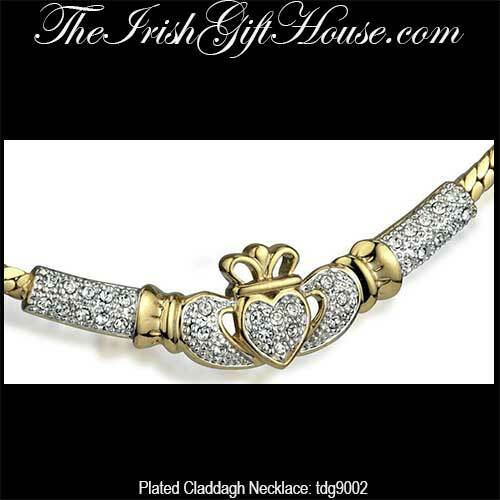 This Claddagh necklace is a necklet style design that features crystals set in the heart along with the hands and the shoulders. 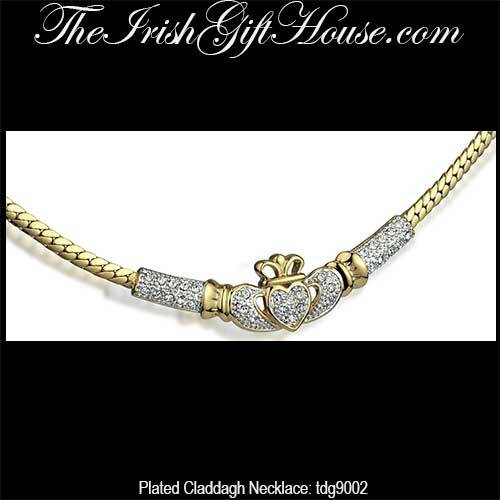 This gold plated Claddagh necklace is enhanced with a crystal studded heart and hands along with additional crystals set above the cuffs in the necklet style chain. The Claddagh symbol measures 1/2" tall x 1 1/2" long and the overall length is 18 1/2" long, including the lobster claw catch and the 2 1/2" extender.